Breastfeeding Drop-In & Support Resources – The WRHA provides clinic and parent support group information, contact numbers, and other resources for breastfeeding, including a 24-hour hotline. Breastfeeding – Information and links to breastfeeding resources. 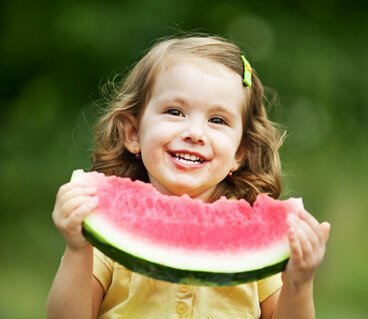 Healthy Eating for Infants and Children – Having a new baby in the house can be a very busy time. These resource guides on infant feeding and nutrition can help take some of the guess work out of feeding baby. Breastfeeding: Your Baby?s First Food – A guide to breastfeeding. La Leche League Canada – Breastfeeding support and educational opportunities are provided by La Leche League Canada. Weaning Your Child from Breastfeeding – When you and your baby are ready to transition to solid foods, there are a few tips that may ease the transition. Preparation and Use of Infant Formula – How to safely prepare and use powdered infant formula. Standard Infant Formula Choices – There are many different formulas available to nourish your baby. Here are some suggestions and information to help you choose. Food allergy vs. food intolerance: What is the difference and can I prevent them? Contact-a-Dietitian – Dial-a-Dietitian connects callers to a Registered Dietitian, a licensed health professional who has studied the science of nutrition. Service is free of charge. Dietitians of Canada: Nutrition A to Z – Healthy eating is a key factor in promoting good health. These nutrition resources covering topics from Active Living to Zinc will help you make the right choices for your individual health needs. Favourite Family Foods Online Cookbook – In this cookbook from the Manitoba Healthy Baby Program, you will find delicious, nutritious, easy to prepare, family friendly recipes and cooking tips. Food Safety – Learn about Health Canada's four easy steps to help keep food safe and more. Healthy Eating Information – Find out how to promote healthy eating in your family and at your child's school. Healthy Holidays: As wonderful as they may be for everything else, when it comes to maintaining a healthy weight, holidays can be somewhat challenging. Most people relish holiday recipes and treats, but many regret those extra sweets and treats come the New Year. Here are a few basic healthy holiday eating tips for you and your family. Infant Nutrition – Information from Health Canada about feeding your baby in the first year, from breastfeeding to starting solids. Manitoba Foods Recipes – Local guides, recipes, and information. Nutrition Resources & Menus – The Winnipeg Regional Health Authority offers a number of nutrition resources to groups and organizations. Nutritionist Contacts for Winnipeg – Community nutritionists are available to provide information about proper nutrition. Find one near you.